Tsukumogami Karuta is a Karuta card that was attached with the divine spirits of Tsukumogami. It has been passed down in the Kawazuya, a spirit medium family, for generations. However, by the Meiji period, the family had lost 41 of 49 cards. That is until they were found in the Kawazuya vault 100 years later by the 6th generation, Shiro Kawazuya! 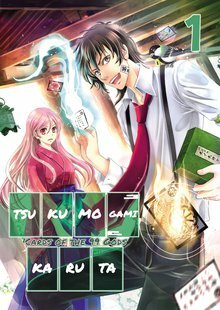 To collect the scattered 99 gods of Karuta, Shiro is wandering around Nara city together with Miyabi, the rich girl whose sixth sense just got awaken!